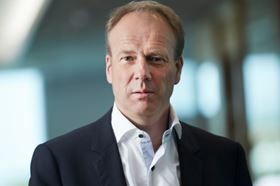 Thorbjørn Vågenes, Framo AS’s director, Oil & Gas Pumping Systems. The two companies have signed a contract for one unit, with an option for three more units that are currently being built by Samsung Heavy Industries in Korea. Framo is to install four pumps in each of the vessels which are due to be delivered between 2019 and 2021. Now part of Alfa Laval, Framo says its pump systems have improved operating reliability, are lighter, and have fewer components to maintain compared with the conventional pumps most commonly used on board FSRU vessels. The Framo system will also eliminate the need for a separate pump room on the vessels where space often is limited. “We are using recognized and well-proven Framo technology in a new market where there has been a significant rise in demand the past few years,” said Thorbjørn Vågenes, director, Oil & Gas Pumping Systems at Framo AS. 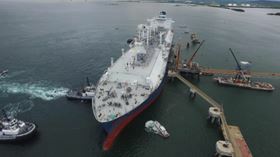 An FSRU is a floating processing and terminal facility. With an on-board regasification unit, the liquid gas carried by the LNG tanker is converted to gas prior to being brought ashore. This process requires the gas to be heated. Large quantities of seawater need to be pumped from the ocean for the heating process. Framo AS is to deliver seawater lift pumps for an FSRU that South Korea’s Samsung Heavy Industries is to build for the shipowner GasLog.